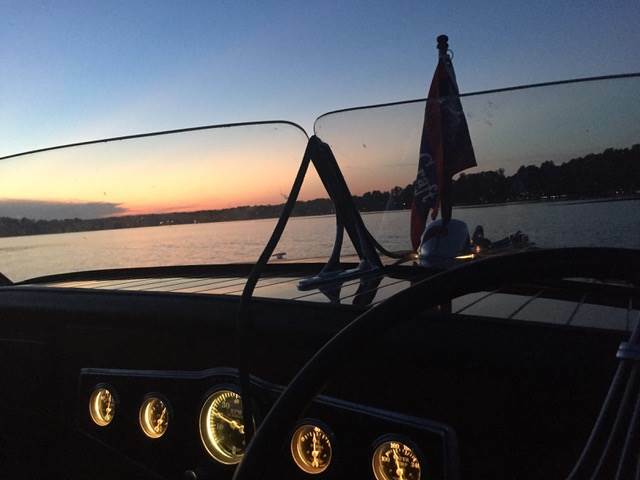 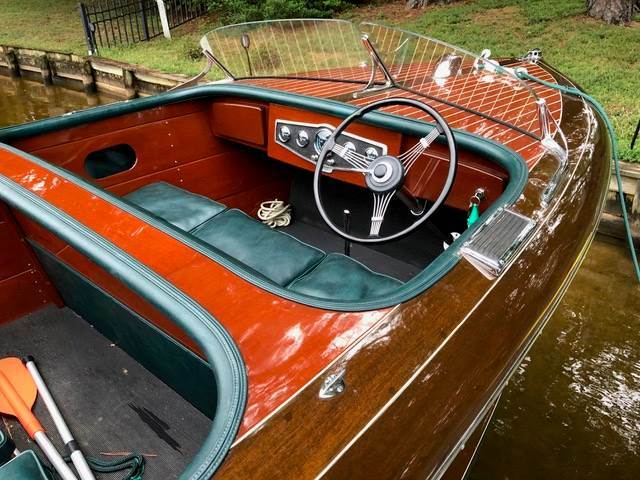 The boat is a 19 foot replica of a 1939 Chris Craft barrel back runabout. It was built by Fish Brothers in 2006. 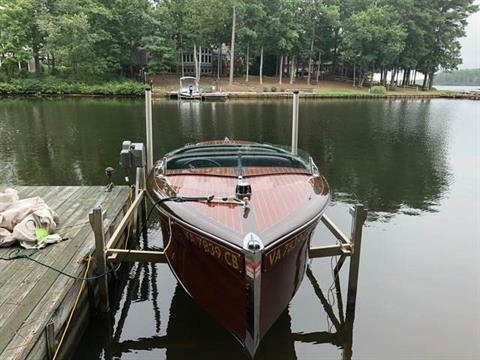 All Mahogany with a no-soak bottom. 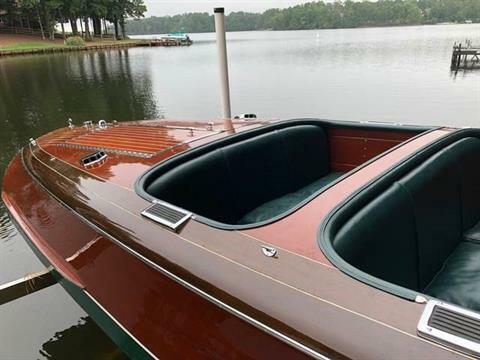 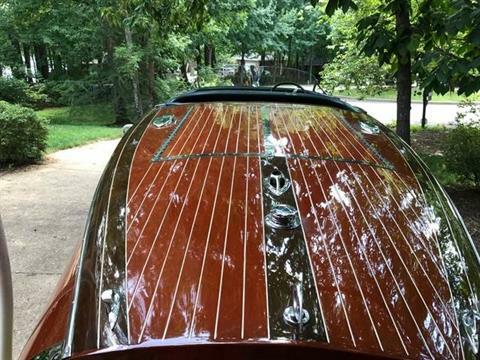 (All Mahogany soaked in epoxy that removes the need to soak in the Spring) It is exact in every detail except the no soak bottom, it has a 12 volt electrical system and single cable modern steering. You can change the boat name for about $1,000 to $1200 at the Fish Brother’s shop but because it is a new change, it can be done locally without fear of the sun bleaching out the wood beneath the name requiring more time to remove the “shadow” underneath the varnish and stain. It has an old cover I use for storage and a one year old full mooring cover (down to the waterline) made from 8.5 sunbrella. 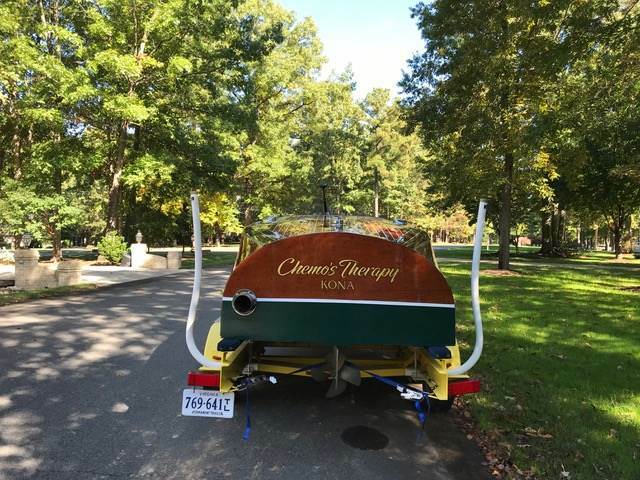 The Trailer is a Searra Custom built trailer made specifically for that boat. Dual axel and trails like a dream. 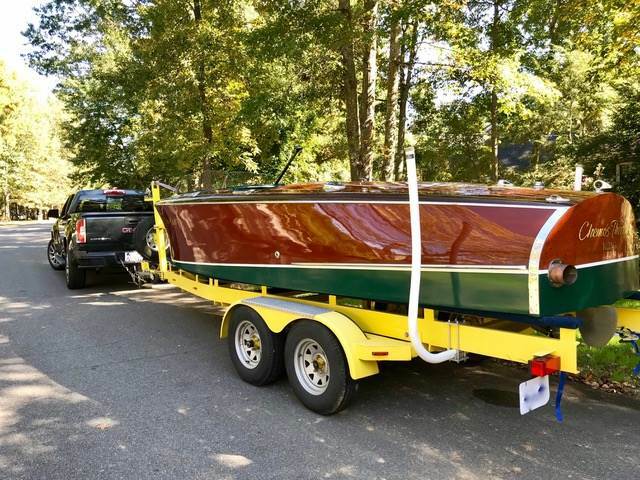 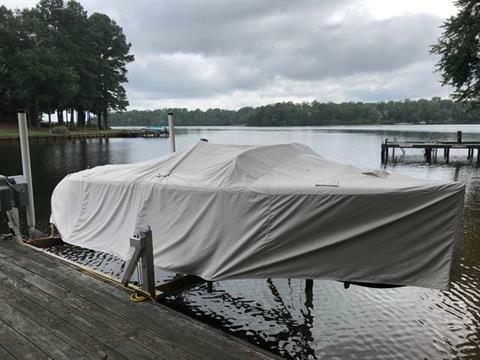 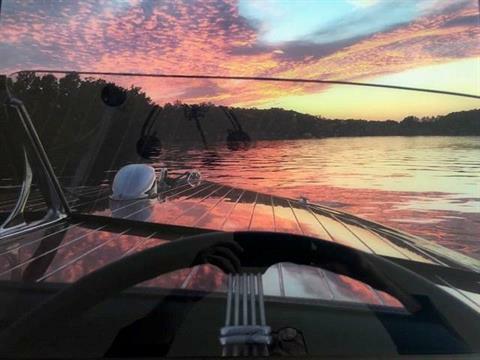 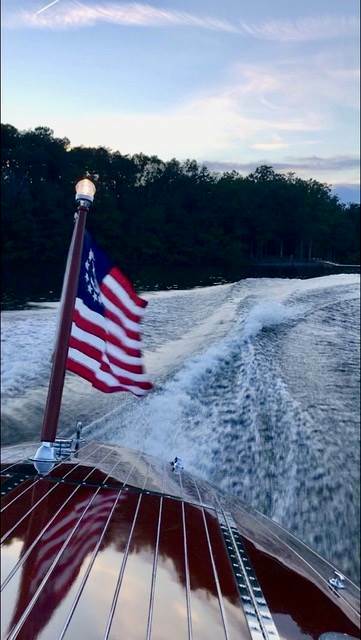 Boat is not on site and must call ahead to schedule appointment!